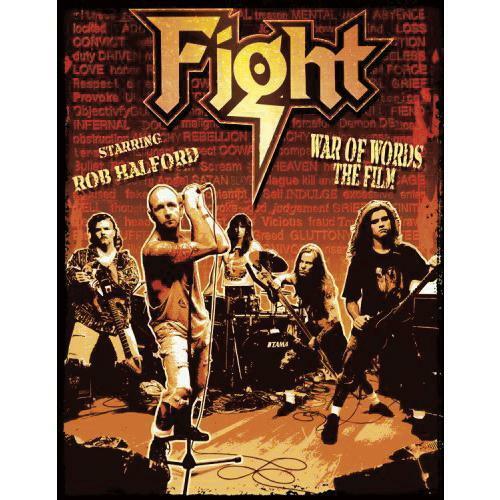 Fight - "War Of Words The Film"
There are plenty of reasons why Rob Halford is widely referred to as 'The Metal God', as few others have contributed as much to the sound and imagery of what is now a very robust Metal music community. After leading Judas Priest for nineteen years, Rob departed the band in 1992 but continued churning out pure metal with the release of "Light Comes Out Of Black" supported by members of Pantera. By summer 1992 Rob Halford formed FIGHT, a powerful, dynamic group that introduced a new, cutting-edge sound for the Metal genre. „FIGHT - War of Words” - The film brilliantly documents a key moment in Heavy Metal history weaving behind-the-scenes, hand-held and pro-shot footage of rehearsals, demo recordings, studio sessions and interviews, climaxing with a full-length concert filmed at 18 venues in 15 select cities during FIGHT's first five months of the 1993/'94 'Nailed To The Road/War Of Words' tour. Feautered audio: FIGHT Live in Paris, France October 30, 1993 - Original songs performed live include: Nailed To The Gun, Into The Pit, Little Crazy, Immortal Sin, War Of Words, Light Comes Out Of Black, Laid To Rest, For All Eternity, Contortion, Life In Black, Kill It, Vicious, and Reality, A New Beginning.